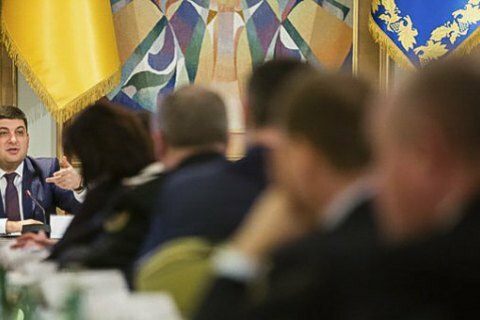 At a meeting on 23 November, the Cabinet of Ministers of Ukraine terminated a 2003 agreement with Russia on the disposal of aviation equipment at the repair enterprises of the defence ministries of both countries. The cabinet took the decision without deliberation, RBC-Ukraine has said. The agreement, in particular, regulated the disposal of Russian aircraft and other decommissioned equipment at Ukraine's repair facilities, the return of dismantled components and engines for future use to the Russian Federation, as well as the replacement of Russian aircraft engines by those made in Ukraine and vice versa. Earlier in the day, the cabinet cancelled a package of 367 outdated regulations in a move to deregulate the economy and create a more favourable business environment.